Starting in late October and early November, we always hear our clients say, “I need my site live the on Black Friday. While having a goal in mind for your launch date is always important, keep in mind that launching on the week of Black Friday or Cyber Monday is not recommended. Why is that, you ask yourself? The most important rule of thumb is having enough time to be able to have clients purchase your products and receive their orders. If you skip this step and launch with no testing time, you run the risk of small hiccups causing big delays in sales. Another key item that you want to be sure of is that your website can support a lot of users at a time. We have all be to a website during a sale and have had it crash on us due to the server taking on too much traffic at once. It is important to be sure that your website is hosted on a server that can support high volumes of traffic! What is Cyber Monday and Why is it Important? 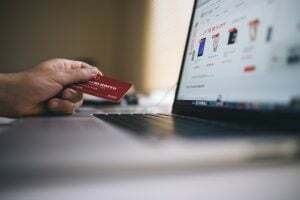 As an Ecommerce company, it is interesting to find out how the tradition of Cyber Monday got started and why it has become a hit with so many online retailers. In 2005, a marketing team at Shop.org (a division of the National Retail Federation) created the idea of Cyber Monday. This idea was to create hype that would equal Black Friday at brick-and-mortar stores. In the beginning, Cyber Monday did not have the drive that the National Retail Federation had hoped for. It was only the 12th busiest shopping day of the year. Yet, this new holiday still brought over 77% of online retailers a substantial increase in sales. Since its release it has become one the biggest online shopping days. This had increased sales and online shopping through the full holiday season. During the first Cyber Monday, sales were only an approximate $484 million dollars. Since then, in 2015 Cyber Monday sales increased to a whopping $3 billion dollar. Not that our employers would like to hear this, but almost 50% of Cyber Monday shoppers completed purchases while at work. What is Black Friday and How did it Start? Back in the early 1950s, workers would call in sick to enjoy a four day weekend after Thanksgiving. This gave an opportunity to start holiday shopping early since most stores stayed open. As long as they were careful not to get caught, all of the presents for the holidays could be purchased on this day. Due to the high number of employees calling in and not knowing who was really ill and who was not, businesses started offering this day as a paid holiday. Now that you know how you managed to get the day off, but how did it become such a big shopping holiday? Well in 1966, there were major traffic-jams and crowds for holiday shopping causing the headlines to read, “Black Friday.” This was the first time the term was famously printed in the American Philatelist; however, the term was not nationally known until the 1980s. This year approximately $717.5 billion dollars were spent on Black Friday, with almost $1,007 spent per shopper. 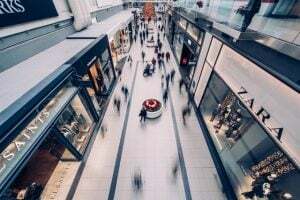 Will Your Site be Ready for the 2019 Shopping Season? Get started with your web design project today!